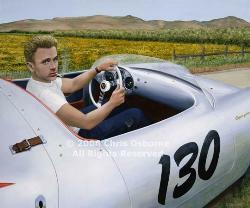 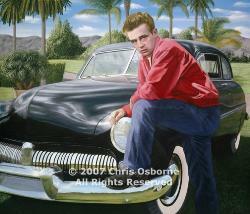 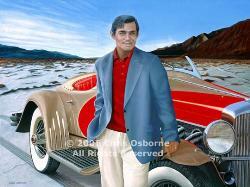 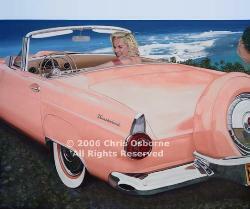 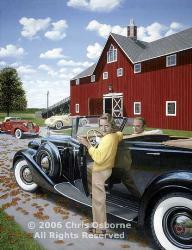 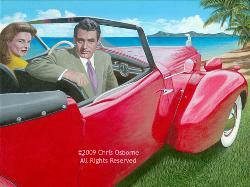 While exhibiting in the Hamptons I came upon a man with his white ’’54 Cadillac convertible. 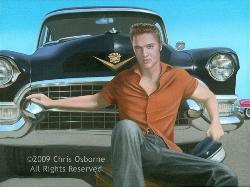 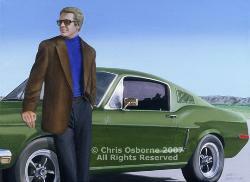 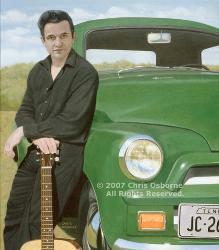 I asked him to pose for some photos with the car and I later adapted those ideas to the Elvis image. From November 1954 to November 1955 Elvis was contracted to appear on the Saturday night radio program Louisiana Hayride, in Shreveport La. 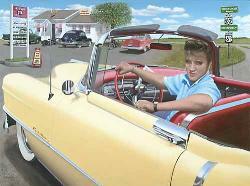 I believe he drove this car (and his black 1955 Limousine) from Memphis to Shreveport on those weekend trips. 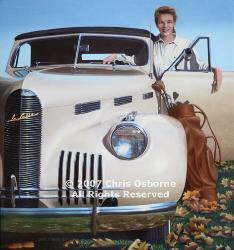 I wanted to portray a moment “on the road”, pulling into a southern style diner. 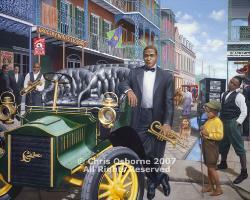 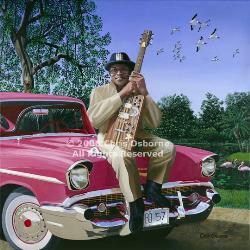 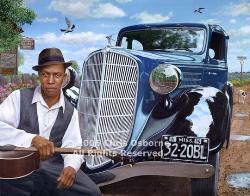 Robert Johnson and the Blue Terraplane 22" x 28"